Expect to find trouble in this day. even in the midst of such messy imperfection. Wait a minute. Trouble and perfection sound like opposites to me. Trouble is pain; perfection is bliss. How can those two concepts possibly coexist in our experience? Sarah didn’t answer my question, so I headed to scripture to find out how God’s way could possibly be perfect for us in the midst of trouble. But when trouble enters our lives, our Rock foundation can feel unreliable and untrustworthy. 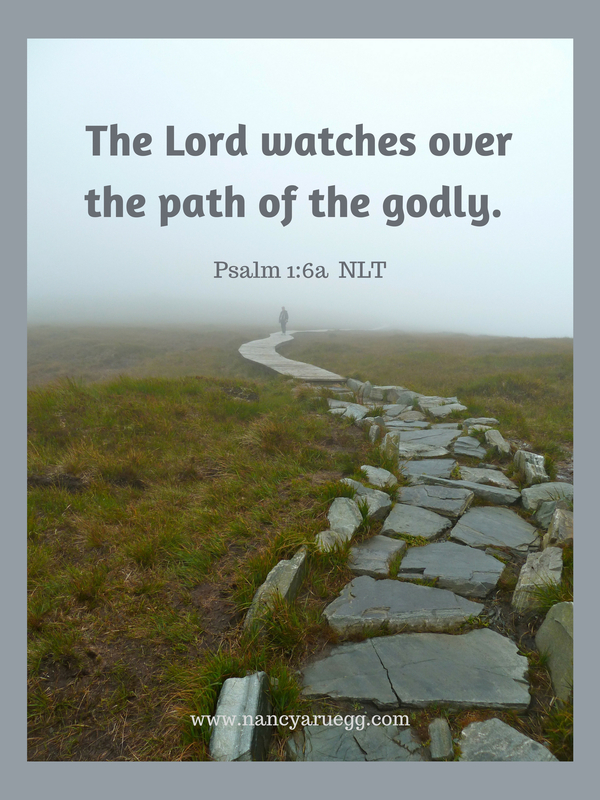 We might question the perfection of his plans, the wisdom of his ways, and the trustworthiness of his promises. Then more than ever we must affirm: “Our inability to discern why bad things sometimes happen to us does not disprove God’s benevolence, it merely exposes our ignorance” (2). Our finite minds cannot understand the all-wise, far-reaching, untraceable workings of a perfectly blameless and righteous God (3). So the choice becomes ours. 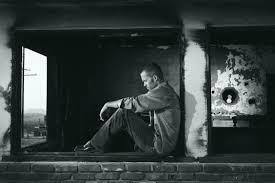 Will we: A) give in to worry, defeatism, and frustration, or B) seek to displace those emotions with scriptural truth and perhaps discover a better way to live? I prefer Plan B! I’m guessing you do too. And a profitable place to begin is in the book of Psalms. 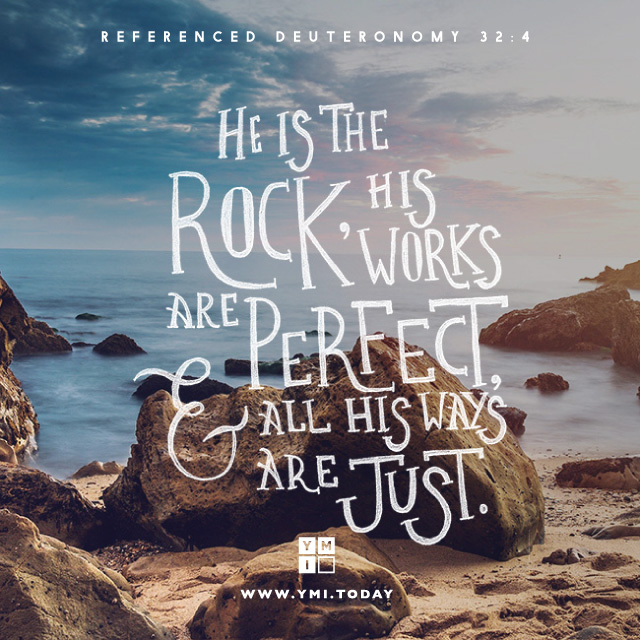 We can collect numerous statements of God’s perfections at work on our behalf, even as we navigate through trouble. Watches over us (1:6). He knows what’s happening. Gives us refuge (2:12)—not from trouble, but in the trouble. Sustains us (3:5) with hope. Hears us when we call to him (4:3), and is already working to bring beauty out of the ashes of adversity. Fills our hearts with great joy (4:7)—despite the circumstances. Encourages us (10:17) with his Word. Turns our darkness into light (18:28), as he brings bright blessings out of dismal situations. Arms us with strength (18:32) to endure. Makes our ways perfect (18:32) as he gives us everything we need. Guides us along right paths (23:3) toward maturity, serenity, and fulfillment. Infuses us with peace (29:11) as we remember all things are possible with God. Shows his wonderful love to us (31:21). And as we celebrate each day the manifestations of that love, our trust and contentment grow (4). There you have it—a perfect dozen promises for troublesome times, gleaned from the first thirty-one chapters of just one biblical book. Many more are tucked within the pages of our Bibles, waiting to be discovered and embraced. But worry, confusion, and discouragement don’t easily give up front-and-center attention in our minds. 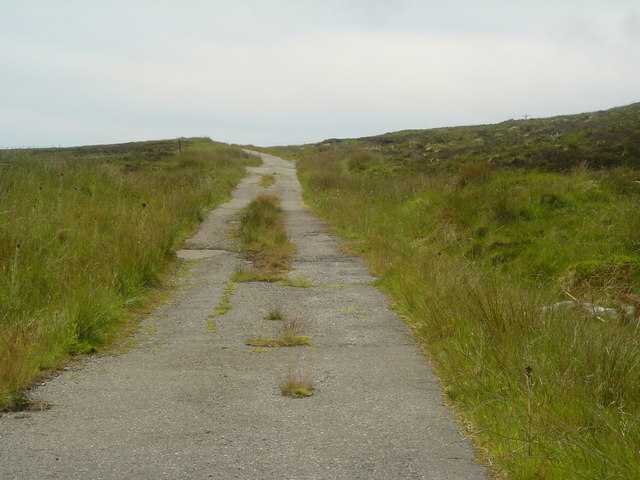 We must continually replace such thoughts with statements of faith, reminding ourselves: “The God who made us can equip us for the road ahead, even if it is an unpleasant road” (5). After all, he’s in the driver’s seat, he has an impeccable driving record, and he deeply desires to accompany us toward our destination in heaven—to perfectly protect us, counsel us, and guide us safely all the way home–even through trouble. P.S. An update on my husband, Steve: Many of you know he is fighting liver cancer right now. Next week he will undergo another chemo treatment and radiation. Our prayer is these procedures will eradicate the last tumor and no more will develop before he receives a transplant, perhaps early winter. Thank you again for your love, support, encouragement, and prayer. We are cocooned in God’s peace! (1) Jesus Calling, Thomas Nelson, 2004 p. 160. (2) Ravi Zacharias and Norman Geisler, Who Made God? and Answers to Over 100 Other Tough Questions of Faith, Zondervan, 2003, p. 46. (4) The following twelve scriptures provide further support: Psalm 139:1-6; 2 Thessalonians 3:16; Romans 15:13; Isaiah 61:3; Psalm 94:19; Psalm 119:50; Romans 8:28; Philippians 4:13; 2 Peter 1:3-4; James 1:2-4; Luke 1:37; Philippians 4:4, 12. (5) Karol Ladd, Thrive, Don’t Simply Survive, Howard Books, 2009, p. 47. Photo credits: http://www.ymi.today; http://www.pexels.com; http://www.dailyverses.net&#8217; http://www.canva.com; http://www.pixabay.com; http://www.flickr (Chris Bartnik); http://www.geograph.org.uk. Good reminders, Nancy – thank you. And thanks for the update on Steve. Praying for a smooth path through this next round of treatment and for a transplant to show up in a timely fashion. Love to you. Thank you, Diana. SO appreciate your loving concern and prayer from afar; so glad our paths crossed in the blogosphere! It is good to see your faith. I am praying for you and Steve. Love you so much. Thank you, Nikki! I can’t imagine navigating through life without Jesus. He is our one and only anchor! Know you feel the same. Love to you and Buck, continued prayer as well, dear cousin. God bless you for your honesty, Cheri. My heart aches for you, that you sometimes “get dragged down in the mud of fear and negativity.” I don’t need to tell you, recognizing our need is half the battle, and knowing what to do about it is another large portion. You’re close to victory!! I pray that as you fight against depression and worry, you sense God’s presence and power, peace and joy filling your spirit and displacing the hurtful emotions. Love to you and continued prayer, dear friend! 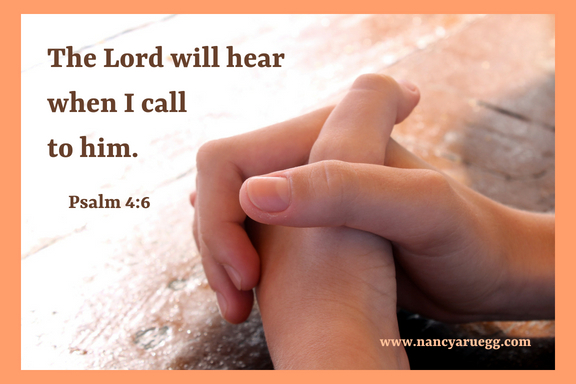 Thanks so very much, Nancy, for your prayers. Knowing that others have ‘real’ issues to ‘worry’ about makes me ashamed to be worrying over nothing concrete. I have no control over what washes over me…but I know I DO have the power to turn this over to Him and let him handle my fears. It’s a daily, sometimes hourly prayer to my Savior but He is the one always here for me. Always reassuring and positive and loving me in spite of myself! Thanks again, so very much. What a beautiful and encouraging post Nancy! All those precious promises just from the Psalms! 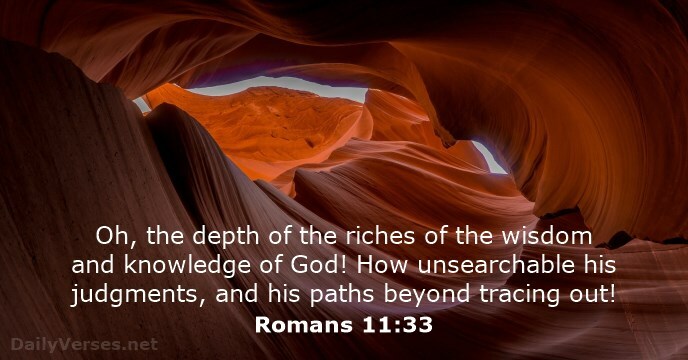 God’s Word is so full of valuable treasure! It reminds me of spiritual CPR! Thank you for impressing on me so many years ago the value of my morning quiet time… don’t know where I’d be without it! Praying for Steve especially this morning, and for you as you love on and minister to him! I understand the incredible beauty of being wrapped in His cocoon of peace! Thank you, Lisa, for your encouragement. 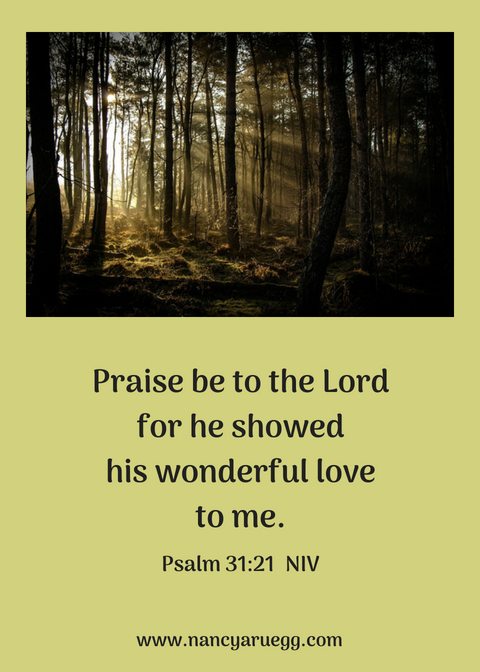 You do indeed understand the incredible beauty of being wrapped in his cocoon of peace–given some of the life-experiences you’ve endured, and the circumstances you face now. Please know we are lifting up you and Michael as well. Interesting that our two men are facing serious health concerns at the same time! So glad that image touched your heart, Laurie. 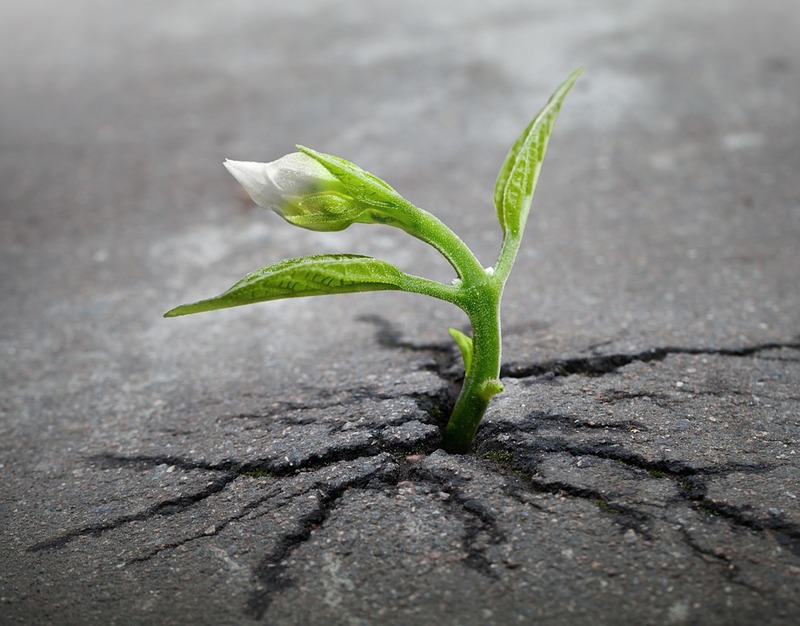 That little flower DOES illustrate God’s grace in a tough place, doesn’t it? And AMEN to your prayer. What more could we ask than to be graced by God’s presence? Always perfectly timed topics when you let the Lord work. Something that has helped me along in trials with James Chapter1, is that when God can satisfy or needs by giving us a need. We can get into life and not allow Him in as part of our relationship. Praying for you guys. Thank you, Gary. And you make a good point. As I look back on my life, I can see that God has sometimes satisfied needs in a straightforward manner. For example, we needed a place to stay, and God provided a place for us to stay. Other times, the satisfaction comes in knowing our loving, faithful Father is in control and all will be well with our souls. / Grateful for you prayers, Gary!